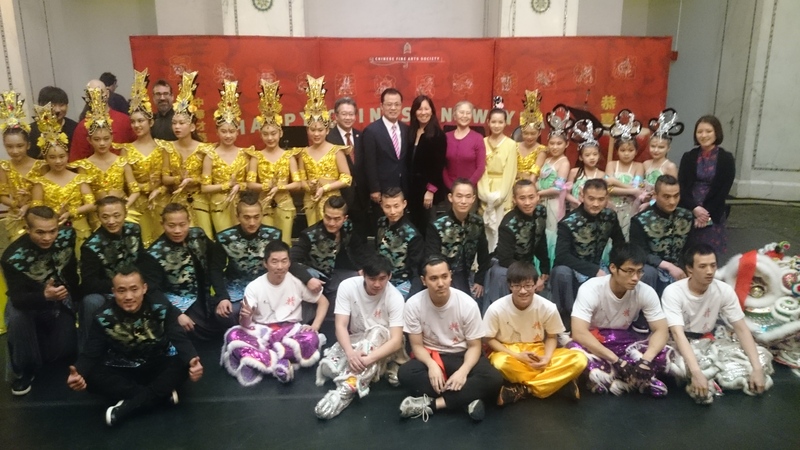 On Feb. 8, Consul General Zhao Weiping delivered remarks at the Kick-Off Event of 2016 Chinese New Year Celebration in Chicago at Chicago Cultural Center. The event was co-hosted by Choose Chicago and the Chinese Fine Arts Society, with around 800 attendees including some representatives of local cultural organizations, teachers and students of Chicago Public Schools and media reporters. Ms. Lisa Kohnke, Representative of Mayor, Ms. Melissa Cherry, Vice President of Choose Chicago and Ms. Julie Ma, President of the Chinese Fine Arts Society also delivered remarks in the event. In his remarks, Consul General Zhao expressed his appreciation to the City of Chicago for hosting the celebration of the Chinese New Year for the third consecutive year in the name of the city government. This annual celebration has become a wonderful example of the great cultural diversity of Chicago as well as the ever-growing close ties between China and Chicago, which has played an important role in strengthening the mutual understanding of the two peoples. Consul General Zhao also pointed out, as this year was declared as the China-US Tourism Year by President Xi Jinping and President Obama during President Xi’s visit to the United States last September, the Chinese New Year Celebration in Chicago will certainly help stimulate more two-way tourism between China and Chicago. At the Kick-Off Event, Beijing Long Yun Kung Fu Troupe and several local Chinese Cultural Institutions presented some wonderful performances, which won big applause from the audience.